Smith, P.c. and R.J. Conover. "Bonavista Bay". The Canadian Encyclopedia, 06 June 2017, Historica Canada. https://www.thecanadianencyclopedia.ca/en/article/bonavista-bay. Accessed 20 April 2019. Bonavista Bay is an inlet on the Atlantic coast of Newfoundland between Cape Freels and Cape Bonavista. Roughly 65 km wide, it contains a large number of densely forested islands that shelter the mainland from northeasterly winds and create hundreds of kilometres of virtually landlocked waters. Bonavista Bay is an inlet on the Atlantic coast of Newfoundland between Cape Freels and Cape Bonavista. Roughly 65 km wide, it contains a large number of densely forested islands that shelter the mainland from northeasterly winds and create hundreds of kilometres of virtually landlocked waters. 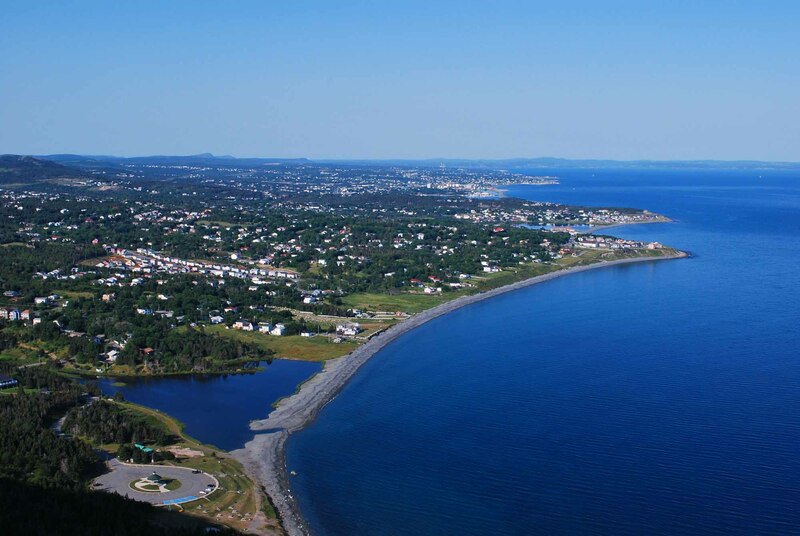 A portion of this attractive and historic area has been set aside as Terra Nova National Park. Several fishing villages, the largest of which is Bonavista, lie along the bay's rugged, deeply indented coastline. The Labrador Current sweeps past Cape Freels, regularly filling the outer bay with water cooler than -1°C and occasionally depositing an iceberg. Nonetheless, the protected inner bay warms up sufficiently for propagation of lobsters and supported an important inshore cod fishery until the cod moratorium was put in place in the early 1990s. Apart from fishing, lumber and transportation are the major industries of the area. Over the years the waters of the bay have been the scene of scientific investigations of cod distribution relative to temperature and of fishing methodology. Cape Bonavista is the starting point for a series of hydrographic sections (the "Bonavista Triangle") carried out by the International Ice Patrol to monitor the Labrador Current and to help to forecast iceberg movement.